Swearing in Thailand: Did You Just Call Me a Lizard? When learning a language you start with the basics: ‘hello’, ‘thank you’, ‘how do I….” and all swear words. Deputy Prime Minister Plodprasop Suraswadi has apologised after referring to opponents of the government’s water management scheme as ai hia. Mr Plodprasop yesterday backed down from remarks he made during a speech in Chiang Mai on Sunday to red-shirt supporters. Mr Plodprasop, who had taken flak earlier for referring to protesters at the Chiang Mai water summit last month as “rubbish”, said in Sunday’s speech that he wished he had gone further and called the activists ai hia. “They [NGOs] were angry with me when I called them ‘rubbish’. This word was too soft. “In my mind, I wanted to scold them as ‘ai hia’,” he was quoted as saying on Sunday. 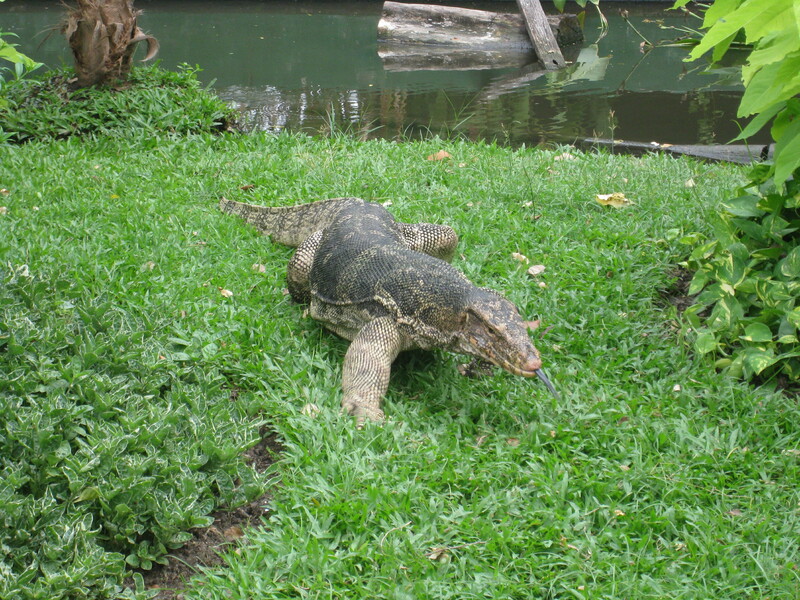 Hia literally means a water monitor, but it is also used as a Thai curse and is considered extremely offensive. The word ai refers to the person or people you are speaking about. The Democrat Party and some non-governmental organisations are opposed to the 350-billion-baht flood and water management scheme. Mr Plodprasop said his comments during his speech in Chiang Mai last month were in keeping with his normal speaking style, but he apologised to those he offended. The deputy minister, who oversees national water management affairs, is know for his sharp tongue and tough stance toward opponents. However, after facing mounting criticism for his remarks, Mr Plodprasop promised yesterday he would be more careful in his choice of words. Mr Plodprasop’s conflict with the environmental activists came after they insisted on organising a parallel conference to discuss Thailand’s water management problems. The Human Rights Lawyer Association demanded Mr. Poldprasop apologise for the “rubbish” remark, but he had refused. Please credit and share this article with others using this link:http://www.bangkokpost.com/news/local/353676/plodprasop-says-sorry-for-swearing-at-his-critics. This entry was posted in Culture, News, Politics and tagged ai hia, lizard, Thai language, Thai swears. Bookmark the permalink.